Gold Price Today: This is no passing fad, writes Oliver Temple. There are real worries over the state of the global economy and investors are beginning to bite. Since the start of the year, gold has been shining. True, the precious metal did not perform as well as many had expected last year but 2016 is proving quite different. What’s driving up the precious metal’s price this time? In truth, there is probably not one factor. We began to see gold prices moving towards the end of last year, not with the Greece bailout as some had expected, but with China’s stocks falling and the price of oil dropping. Gold and crude oil prices are traditionally linked. Then there was the US interest rate situation. We have not even mentioned the UK’s own economy or the effect ‘Brexit’ could have. These ‘little ripples’ are now beginning to be felt. Poor recent performances on stock exchanges are prompting more to turn to gold. The yellow metal is traditionally seen as a safe haven during times of economic uncertainty. Our view has been that investors have been holding back to see what would happen with the global economy. Now this is changing. Some of the biggest names in the hedge-fund industry are currently meeting at the Sohn Investment Conference in New York. They are discussing investment ideas and markets which are moving. The conference is taken seriously by the investment world. What has come out it so far is billionaire investor Stanley Druckenmiller and former chief executive officer of Duquesne Family Office, criticising the Federal Reserve. He is recommending investors sell stocks and buy gold. "The conference wants a specific recommendation from me. I guess ‘Get out of the stock market’ isn’t clear enough," said Druckenmiller. Gold "remains our largest currency allocation." With investors such as Druckenmiller backing the precious metal, we could well see other buyers following, pushing up the price of gold still further. Gold’s previous head winds, look for now, to be subsiding. It could indeed be a good time to purchase gold from a reputable dealer. 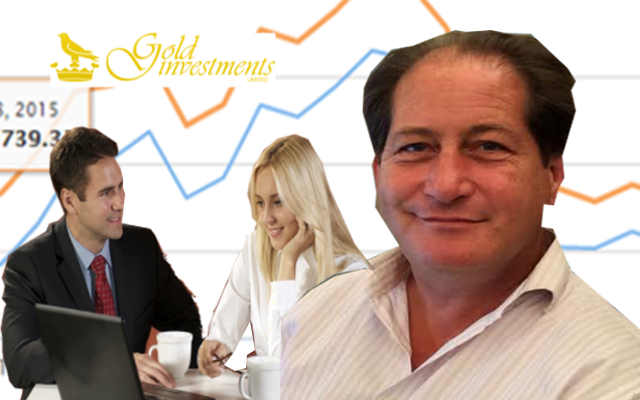 You can sign up for free gold price alerts today here. Image of the London Stock Exchange by Kaihsu Tai.